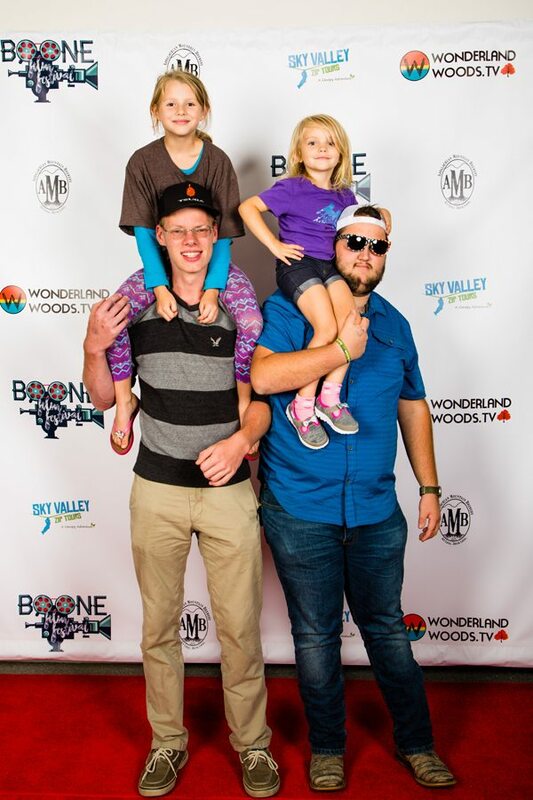 More than 600 people attended the 2nd annual Boone Film Festival this past weekend, raising thousands of dollars for Mountain Alliance. The event included a youth screening at Watauga High School on Thursday and Saturday’s main event with screenings and a red-carpet awards celebration. The Boone Film Festival received nearly 50 submissions, including about a dozen in the youth category, this year. The quality and quantity of submissions were higher compared to the inaugural festival, and the festival was held in a bigger venue. Three categories of film were judged in this year’s event: Appalachian Culture, Appalachian Adventure and Appalachian Environment. Winners include: Former member of Mountain Alliance and Watauga County native Hanna Furgiuele won Best Cultural Film Award for the 31-minute film, “A Mighty Fine Memory.” This film is about fiddler Roger Howell, known for his generosity as a teacher and prodigious memory. Howell contributed 532 fiddle tunes, the “Roger Howell Memory Collection,” to Mars Hill University’s Southern Appalachian Archives. “After Coal,” an 18-minute film by Tom Hansell, won the Best Environmental Film Award. See http://aftercoal.com/ for more information about this film. Eric Hiestand of Boone won Best Adventure Film for his 16-minute film, A Grand Traverse. Set “somewhere in the Pisgah National Forest,” the film is about an “unlikely journey of friendship forged in the dirt.” See https://vimeo.com/222659861/1d247fc0c3. Best Film Award for the 2nd annual Boone Film Festival went to Paul’s Boots, a 37-minute film by Anya Miller-Berg. An Australian man named Paul Evans loved the outdoors and had been polishing his boots for one last trek along the Appalachian Trail before he died. He never made it on that last hike, but his boots did. See https://youtu.be/Dt6MCloJ5iw. Vendors in the Schaefer Center, where the Boone Film Festival was held. Before the awards ceremony on Saturday evening, many more folks attended the screenings in the afternoon. Live music was part of the entertainment at the 2nd annual Boone Film Festival. Wonderland Woods Productions founder Eitan Abramowit works on the backend of the Boone Film Festival. © Candice Corbin Photography 2017- http://candicecorbin.com/. Boone Film Festival- http://boonefilmfestival.com/. Shaefer Center ASU. 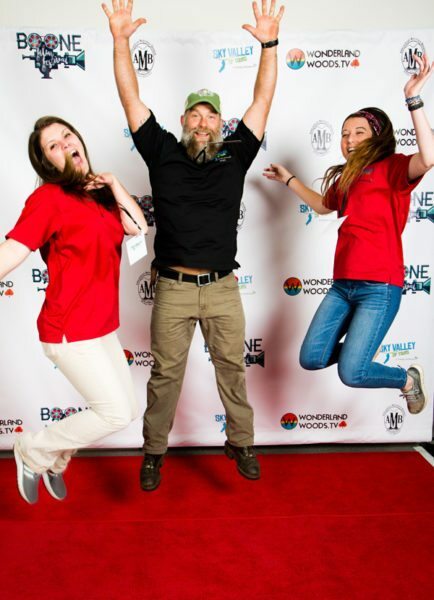 Boone Film Festival co-founder Jason Berry in the middle. © Candice Corbin Photography 2017- http://candicecorbin.com/. Boone Film Festival- http://boonefilmfestival.com/. Shaefer Center ASU. BFF co-founder Bill Ireland © Candice Corbin Photography 2017- http://candicecorbin.com/. Boone Film Festival- http://boonefilmfestival.com/. Shaefer Center ASU. From left: Visual effects pioneer Dean Lyon, Wonderland Woods Productions co-founders Paul Halluch and Eitan Abramowitz© Candice Corbin Photography 2017- http://candicecorbin.com/. Boone Film Festival- http://boonefilmfestival.com/. Shaefer Center ASU. BFF host Patrick Wilkinson © Candice Corbin Photography 2017- http://candicecorbin.com/. Boone Film Festival- http://boonefilmfestival.com/. Shaefer Center ASU.